Submitted by Fred on Thu, 11/07/2013 - 11:47pm. LIKE MANY GREAT military innovations, mission command was conceived in the womb of war following defeat’s painful insights. 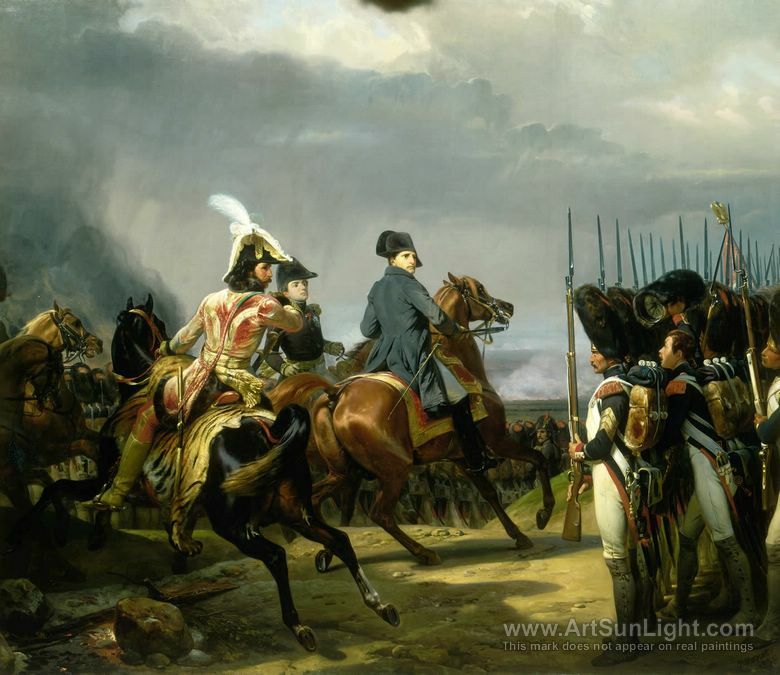 In 1806, Napoleon decisively beat the Prussian army at the twin battles of Jena and Auerstedt. Although the French attack was poorly coordinated, the rigid Prussian army fought even worse, failing to capitalize on opportunities. In the weeks that followed, Napoleon’s Grande Armée pursued their demoral­ized enemy, destroyed Prussian units piecemeal, and occupied Berlin. This event’s psychic shock propelled the Prussian army’s transformation. Gerhard von Scharnhorst, the chief of the Prussian General Staff, spearheaded reform. Scharnhorst believed that the best way to prepare armies for battle was to comprehensively educate junior leaders and then empower them to make independent decisions. The General Staff and Military Academy he founded would influence generations of German officers to think as he did about command. The great military theorist Carl von Clausewitz was Scharnhorst’s pro­tégé. Clausewitz’s concept of “friction” gave sustenance to the embryonic philosophy that would later be called “auftragstaktik” (mission command). Clausewitz wrote that because of war’s reciprocal nature and underlying moral forces, “war is the realm of uncertainty.” Unforeseen difficulties accumulate at every level, creating a “kind of friction that is inconceivable unless one has experienced war.” Success, he concluded, goes to commanders who outmatch the enemy’s ability to exploit friction. Helmuth von Moltke the Elder, who considered himself a disciple of Clausewitz, is known as “The Father of Auftragstaktik.” During Moltke’s 30-year tenure as chief of staff, auftragstaktik was “established as coherent theory . . . and enforced as official doctrine.” Moltke cemented the sup­port that military culture, education, and training gave to what had become decentralized command. Schools gave extensive tactical educations even to junior officers and noncommissioned officers. Leaders typically valued aggressive initiative over strict obedience from their subordinates, and, until the 1920s, officers faced training scenarios in which they had to disobey orders to meet the commander’s intent. Decentralized command propelled the Prus­sians to rapid victory over the French in 1870. In 1918, semiautonomous German “shock troops” achieved the only major tactical breakthrough on the Western Front (a breakthrough they could not exploit due to attrition and logistical shortcom­ings). Later, as a key components of “blitzkrieg,” auftragstaktik fueled the quick defeat of Allied armies in Europe, Asia, and Africa at the start of World War II. Nonetheless, it was not until our Army looked for ways to offset the Soviet army’s huge quan­titative edge in Europe that auftragstaktik was given precedence in doctrine. The 1982 U.S. Army Field Manual (FM) 100-5, Operations, was a milestone in this regard, emphasizing mission orders, subordinate initiative, and an “offensive spirit” (an unintended double entendre). Thanks to our Army’s adopting auftragstaktik, advocates say we can do more with less throughout the spectrum of conflict. Mission command gives small unit commanders the flexibility to rapidly react, maneuver, and win battles involving heavy conven­tional forces. Since “local commanders have the best grasp of their situations,” empowering junior officers to solve their own problems helps us defeat insurgen­cies. And, decentralizing information operations ensures we keep pace with dispersed enemies’ rapid delivery of messages to key populations. Doctrine and training, proponents argue, have finally come together to ensure that Army leaders can outmatch their enemies’ ability to exploit friction. “So we beat on, boats against the current, borne back ceaselessly into the past.” Thus F. Scott Fitzgerald ended The Great Gatsby, hauntingly evoking the idea that human beings can only with difficulty escape key events of their past. The same can be said of institutions, borne back to their past by deep, often hidden cultural biases. The eminent organizational theorist Edgar Schein defines culture as “a pattern of shared basic assumptions that was learned by a group as it solved its problems of external adaptation and internal integration, which has worked well enough to be considered valid and, therefore, to be taught to new members as the correct way to perceive, think and feel in relation to those problems.” Schein defines three levels of organizational culture. The first level consists of visible “artifacts” such as mission state­ments, heroic narratives, and doctrinal manuals. The second consists of the unwritten rules and values that govern day-to-day behavior. And on the deepest level, the third level, are the organiza­tion’s basic assumptions, its preferences for certain solutions based on past experiences. Schein’s model helps us understand why organi­zations may say they value one thing when actually they prefer something else. It also explains why our Army may not be fully implementing mission command, despite a strong doctrinal commitment to the approach. Law Enforcement who has for a long timed talk about true decentralized control and its benefits to policing. This piece offers numerous great insights into what decentralized command looks like and the culture needed to implement it. The moral qualities necessary for establishing the relationships that sustain a climate conducive to mission command place great demands on the nerve and character of leaders. Personal fortitude is the foundation underpinning the relationships that promote unit cohesion and street level effectiveness. Mission command is more than a leadership philosophy; it is about relationships founded in fortitude and nurtured in trust that enable cops to thrive where others would flounder. Lt. Col. Douglas Pryer has held numerous command and staff posi­tions in the United States, the United Kingdom, Germany, Kosovo, Iraq, and Afghanistan. He currently serves as a division chief for the Electronic Proving Ground, Fort Huachuca, Arizona. He has an M.M.A.S. (military history) from CGSC and is the author of The Fight for the High Ground: The U.S. Army and Interrogation during Operation Iraqi Freedom May 2003-April 2004.